2 DAYS left for super Surly deals! 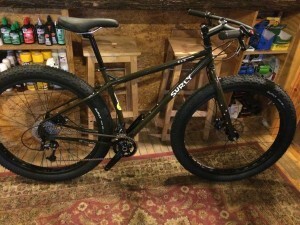 If you’ve ever dreamed of owning a Surly, now’s the time to add one to your fleet! Only 2 more days left for some seriously awesome deals! Take advantage of Surly’s Superfan coupon until Wednesday, April 1 — $150 off any in-stock complete bike (at Mello Velo or Surly HQ). PLUS up to 25% off our in-store fat bikes. *On Purchases of $399 or more with your Mello Velo Bicycle Shop credit card. Interest will be charged to your account from the purchase date if the promotional purchase is not paid in full within 6 Months. Minimum monthly payments required.